HP Handle Set for adaptation for one-handed/stroke patients. 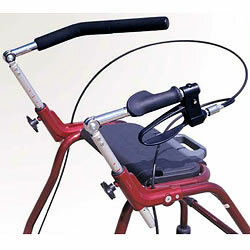 Can be mounted on the left or right to promote a safe grip on the user's weak side. For Symphony model only.